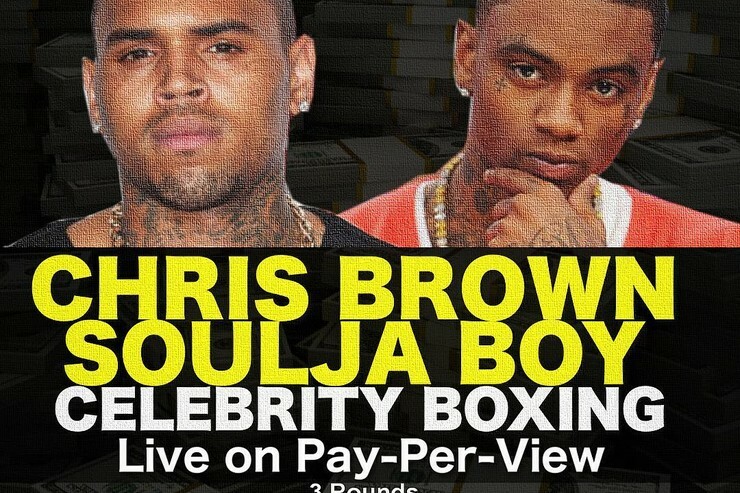 Fans of rapper pugilism everywhere will rejoice in the news that Chris Brown and Soulja Boy are set to duke it out in the ring, with a $1,000,000 prize supposedly up for grabs. 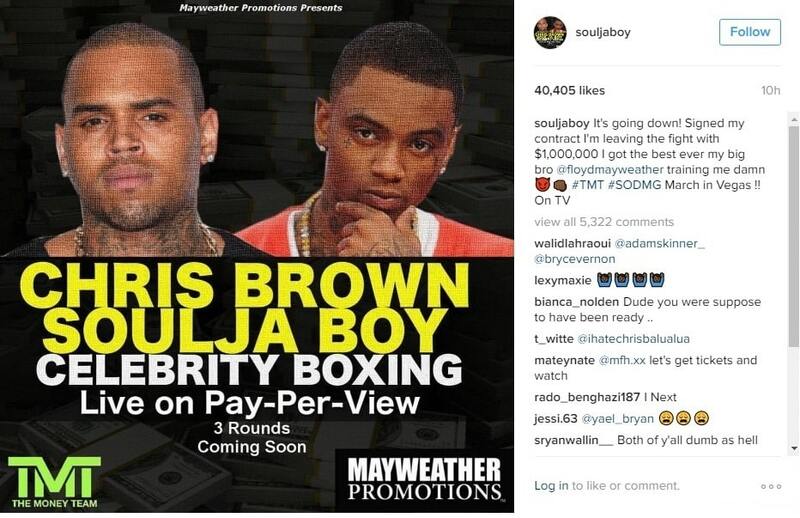 Soulja Boy added that the match would take place in March in Las Vegas, as well as that he was being trained by no less than one of the greatest to ever step into the ring – “my big bro” Floyd Mayweather, whose company is promoting the three-round fight. 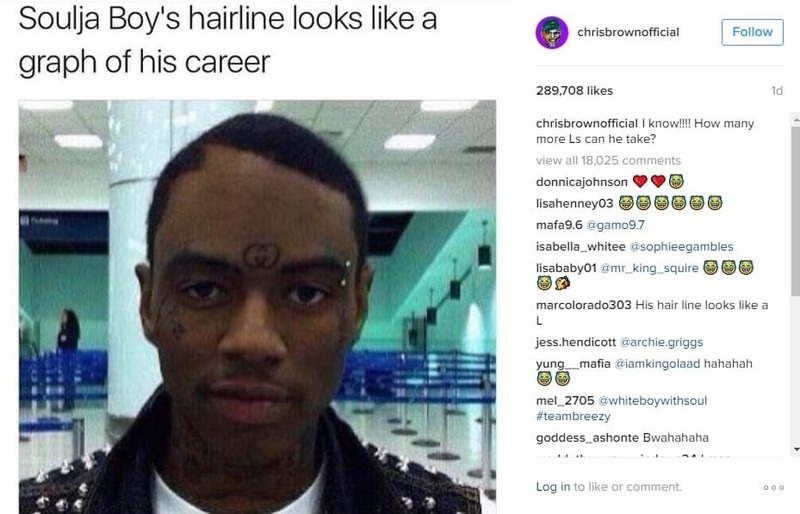 The “Crank That (Soulja Boy)” star has even been backed for victory by 50 Cent, who added that he would place a $100,000 bet on the outcome – which, given his well-publicised financial problems as reported by the likes of the Daily Mail, we’re not sure is the wisest move by the Queens native. Whatever – the big news is that two of the biggest and most polarising hip-hop stars of the 2010s are going toe-to-toe, and as you might expect, there has been quite a bit of the traditional pre-match banter/tomfoolery/taunting (delete according to opinion) between the two. 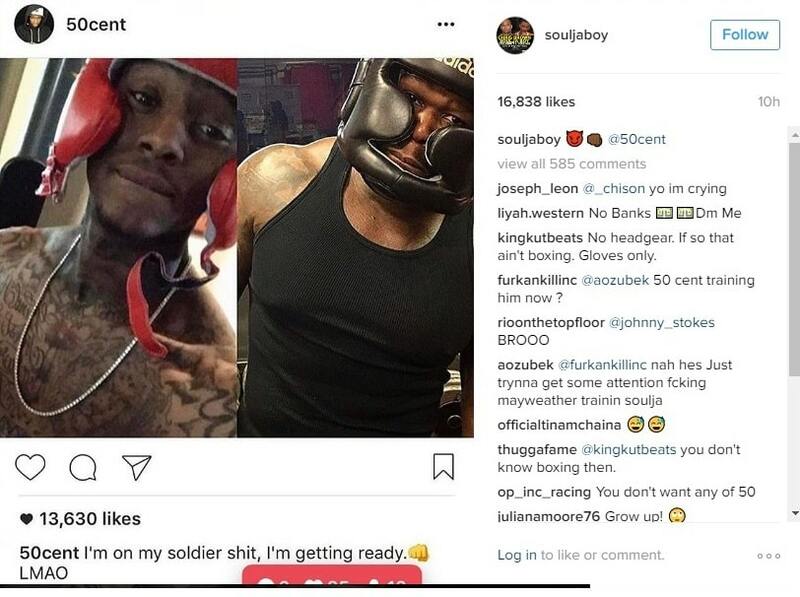 Indeed, there has been a beef between the two for the last few days, apparently started when Soulja Boy ‘liked’ a picture on the Instagram page of Brown’s ex-girlfriend Karrueche Tran, to which it doesn’t seem Brown responded too kindly, calling him to ask for a fight. 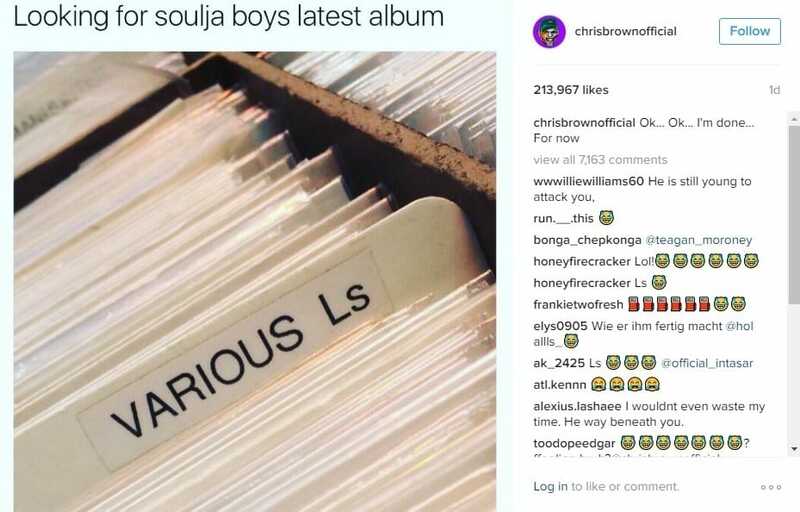 Anyway, a series of feisty social media exchanges later, and that’s exactly what we’re getting – with Brown unhesitant to mock Soulja Boy over suggestions that he is only organising the match to help revive his flagging music career. Need we say more? Oh yes: the whole thing will be a pay-per-view event, according to the flyer, although an exact date and venue are yet to be announced. 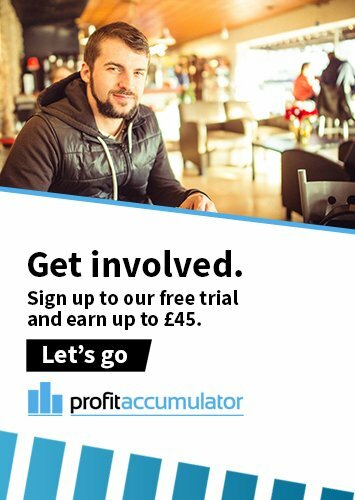 Never mind that Soulja Boy has apparently started training already – given Brown’s nifty footwork on stage, here at Profit Accumulator, we’re still backing the “Run It!” hit maker to triumph.